These new teachings reveal how we also may ascend from the third to the fifth dimension and achieve our own personal Ascended Mastership. These discourses will soon expand with a dialogue between St. Germain and my colleague, spiritual journalist Joel Anastasi. Joel and I are co-founders of the Angel News Network and have been collaborating on various spiritual endeavors for many years, including two sacred journeys to Mt. Shasta, a powerful spiritual vortex and one of the Earthly homes of St. Germain. These discourses have been received concurrent with two powerful energetic phenomena: (1) Star Seed Energies coming into the Earth plane each month in 2016 from the twelve star systems that seeded this planet and (2) Harmonic Convergence with the powerful energetic influences of its planetary alignments that occurred in mid-August. A significant body of these discourses focuses on the self-empowering tools of the I AM Presence and the Violet Flame, which assist humanity in raising our energetic frequency so we can ascend into a higher frequency of existence. 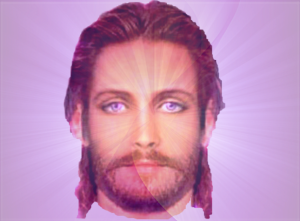 It is the soul plan option for each of us to become Ascended Masters during this new 2,000-year Age of Aquarius. He has given us the tools to accomplish this. I humbly present these Seven Discourses, which I received from St. Germain, for your consideration through your resonance and discernment.